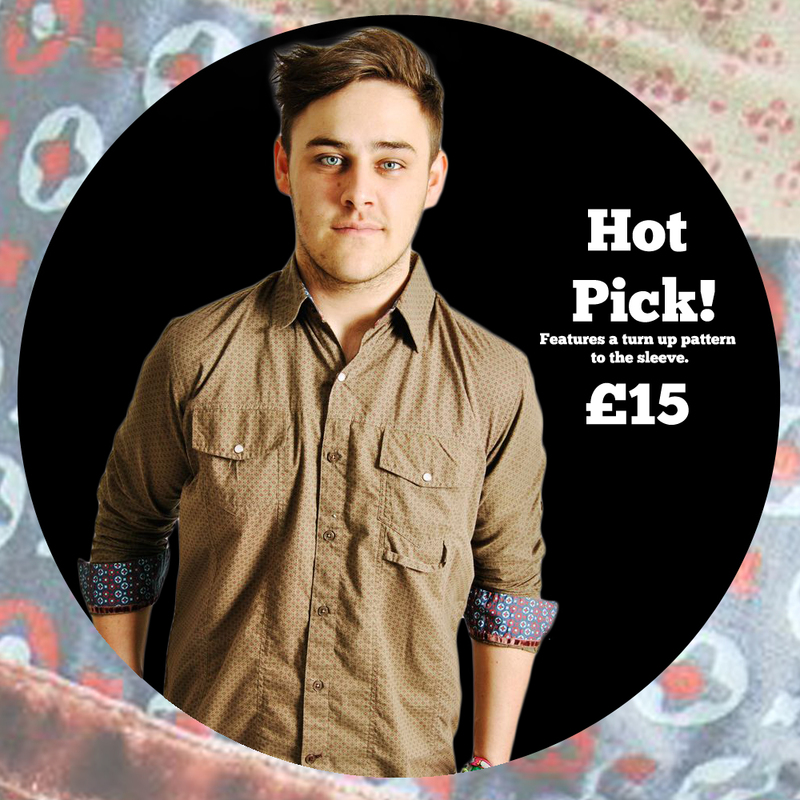 With the weekend fast approaching it seems appropriate to show our hot picks for that night out! Ah the weekend, the two days that give you hope through the rest of the tedious week at work. The two days that you can be free to party till the early hours of the morning if that’s what you’re in to.. or sit on the couch in the same PJ’s as the day before and catch up on some all day Netflix action. What ever you’re up to this weekend get an outfit to celebrate those two cherished days on your calendar! We’ve picked some of the hottest pieces from our current collection that are guaranteed to make you look and feel hot this weekend. Unless you’re this guy.. If you’re looking for a more formal look or you want to go out looking casual our shirt range will definitely be able to cater you. Our latest pieces boast trends like acid wash and aztec whilst our timeless checked numbers are bound to get you some erm.. numbers? this weekend. One day till the weekend officially starts so take advantage of our fast delivery options and look sharp this weekend! How to style: Mesh it up a bit! Mesh has rapidly become one of the biggest trends of the season. Gone are the days when mesh was exclusively worn by diligent athletes and those with a soaring rise to fame..I.E Sporty Spice. Yes.. we have seen some interesting mesh looks over the years. Now we don’t need to mention who the spice girls were, we think it’s safe to say that probably everyone knows who they are. In the early 2000’s I’m pretty sure ( but it could of just been us!) 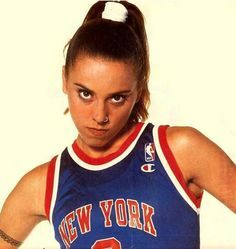 everyone styled there outfits based on their favourite spice girl, right? Scary spice with the animal print, Baby spice with her pastels and pink and of course Sporty spice.. with her err.. sporty clothes? Yes the sporty trend with mesh in particular has been an ongoing trend for years. But now it’s here to stay and it’s more fashionable than ever! Needless to say, as always there are some individuals who take the look a little too far out and get lost along the way.. Regardless, Mesh is a for sure trend this season and we’ve picked out some of our best bits to show you! Our floral mesh and more basic vests are perfect for dressing up or down this summer. 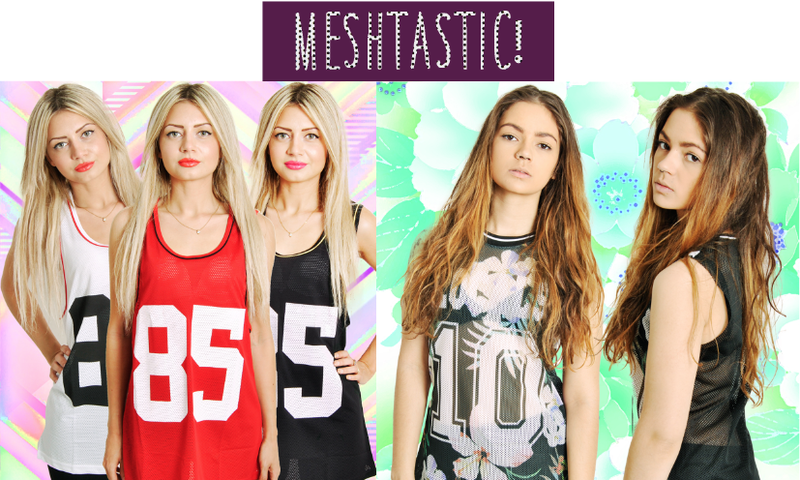 Whether you’re gathering your wardrobe ready for that summer holiday coming up, or just looking for a visual on how to wear your mesh this summer, check out these outfits below for some meshspiration! For an on trend day look.. 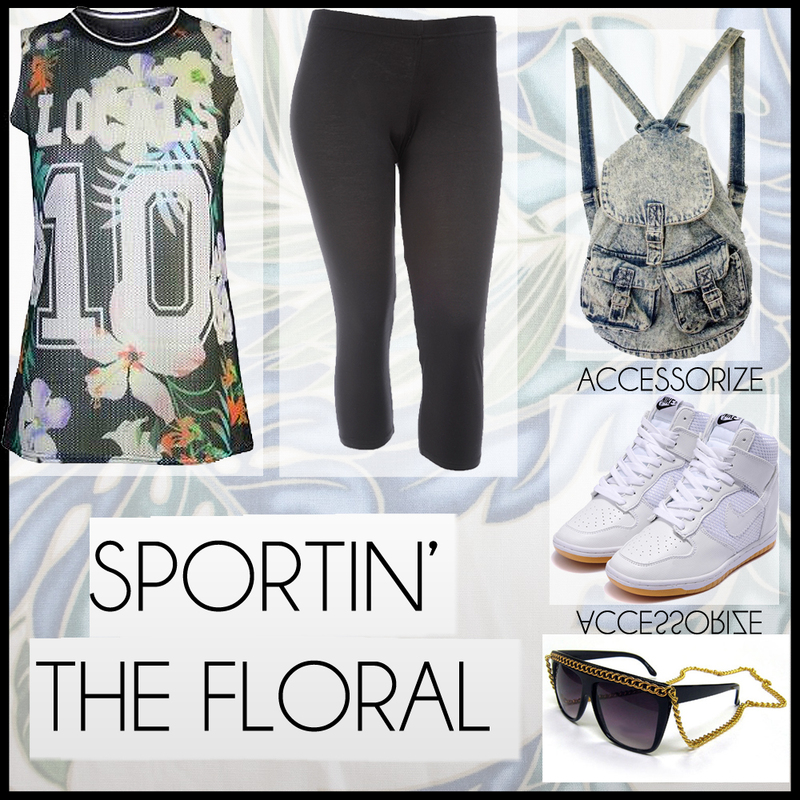 Pair the floral vest with some of our cropped leggings! Cropped is the way forward this summer, so put those long black leggings to the back of your drawer for now and get the legs out! We suggest accessorising with gold toned jewellery, ankle socks and your favourite pair of trainers to complete the look. Want to glam up this trend a bit? It is possible! Pair our gorgeous black mesh with our statement harem trousers and some white canvas heels for an up to date look. The tucked in mesh looks great with the slight high waisted nature of these lightweight trousers. 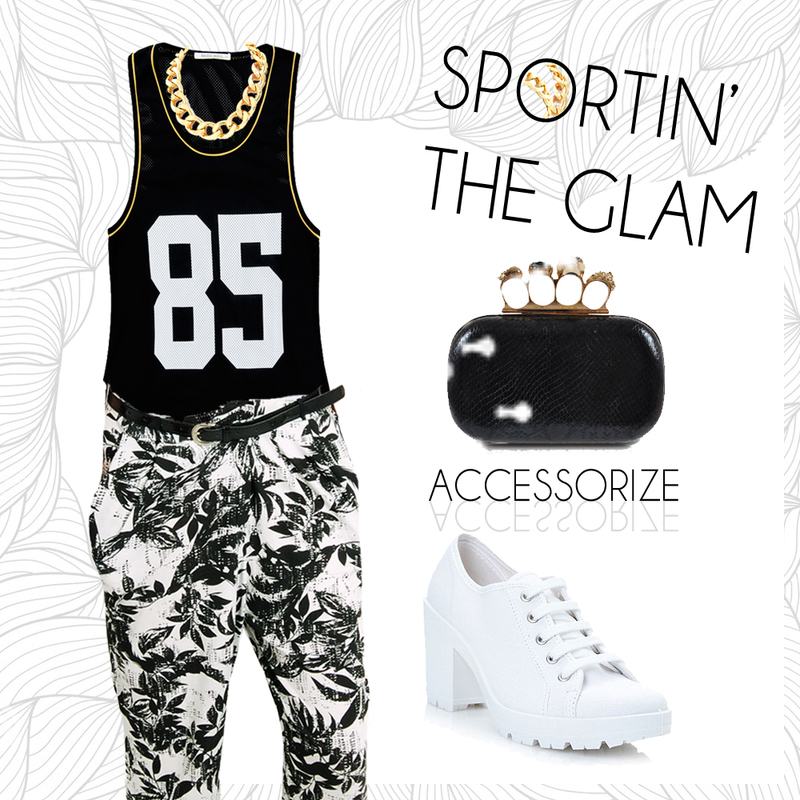 Accessorize with gold tones and a black clutch and you have a sport inspired outfit but with added glam! Summer is officially here y’all! Go on.. put away all the humdrum knitted jumpers..big socks.. and step out this summer in one of our favourite new arrivals. Roar away with this tasty delight. With it’s utterly mesmerising mix of prints and its mesh style fabric, this is definitely one to watch out for this summer. Jellybeans and tigers are in.. Sweaters are out! 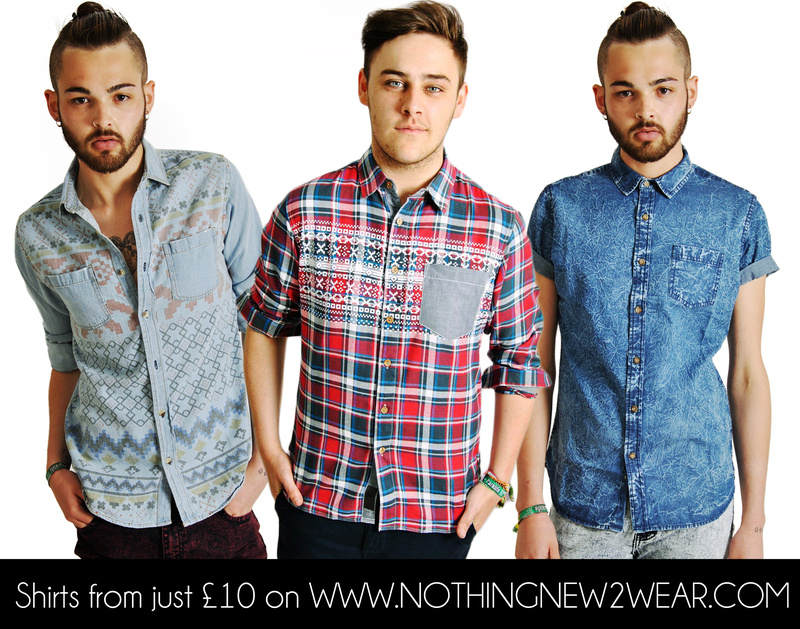 Pick yours up on http://www.NothingNew2Wear.com for just £10. Despite the weather taking a turn for the worst.. cure those weather blues and get your summer wardrobe ready to go with our hot pick: The aztec jumpsuit. 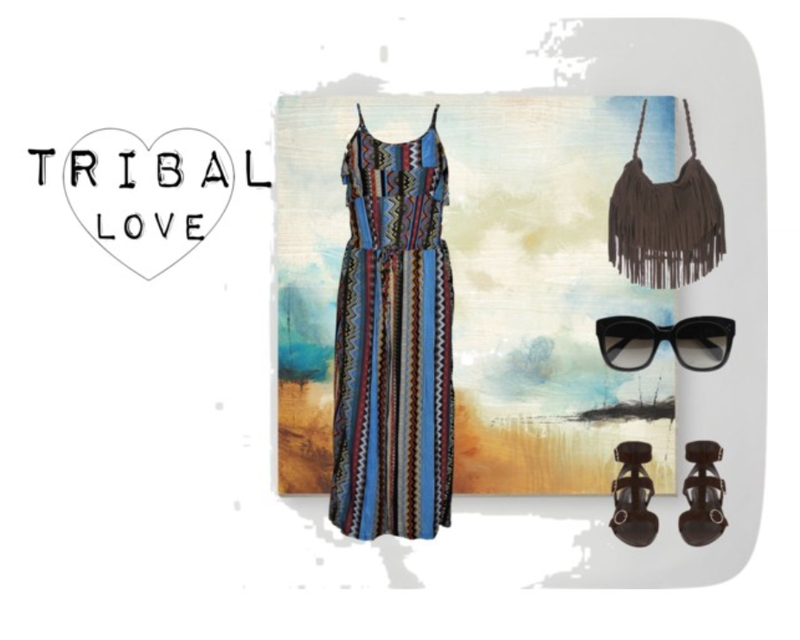 Be inspired by the great Emeli Sande this season and rock this baroque print orange bodycon dress. Just £15 now on our website- nothingnew2wear.com! 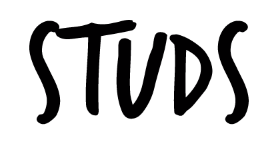 One trend that has never been more popular is the stud. We’ve seen studded jackets, studded shoes, studded everything! Gone are the days of studs only being associated with the likes of punks and old bikers- Over the past year it has become a universally worn trend! Some have rocked the look like Cara Delevingne. Others simply have not and took it a little TOO far.. We’re looking at you Kesha. Now that we’ve clarified how much is too much, We here at the NothingNew2Wear headquarters have chosen our favourite studded pieces from our current line, to show you how much is just the right amount.